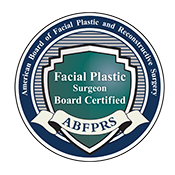 Among plastic surgeons it is widely accepted that noses are the most difficult to do correctly. That’s why patients should think long and hard about the surgeon they choose to sculpt a new nose, whether for cosmetic or medical reasons. Operating on noses takes a highly experienced surgeon because there’s very little room for error. This facial feature sits prominently in the middle of the face. It’s a big part of the way we present ourselves to the world, not to mention one of the first things others notice when they meet us. That means plastic surgeons that perform rhinoplasty, or “nose jobs”, must do so with great precision and intent. There’s no hiding a “mistake” on a nose the way one could hide an imperfection from plastic surgery on the belly, for example, with clothing. Your nose will always be front and center. The decision is obvious: Dr. Brent J. Smith consistently performs between 180 and 200 facelifts each year, most of which include eyelid surgery, a nose job, and possibly chin and ear procedures. The other thing that makes noses the most challenging cosmetic surgery is, like a fingerprint, each nose is totally unique. Getting it right for each patient means shaping the nose to fit with the rest of the face in a way that looks natural. Having practiced plastic surgery exclusively on the face for more than 25 years has given Dr. Smith the hands-on experience to perfect his art—bringing out the aesthetics of each nose. Achieving specialization in ear, nose and throat, affords Dr. Smith an even more significant advantage: knowing how the nose must function physically with the human body. For example, if a patient comes in with the ideal of achieving the thinnest, tiniest nose possible, Dr. Smith will communicate the issue of how the nose must still be able to function properly by bringing air to the lungs. Will there be enough room to circulate, humidify and filter air? These are all critical functions that a nose must be able to perform to keep the body working in a healthy manner. “If someone wants the nose to be too pinched or narrow, I explain that not only won’t it look right, but it also won’t function well,” Dr. Smith says. Luckily the trend these days is not toward “tiny” or the upturned “Twiggy” nose, but rather toward noses that look the most natural on the face. Everyone has been scared by over-corrected plastic surgeries that play out in public, most notably in Hollywood. We can reassure patients that their nose will look appropriate to the features of their face through the use of specialized computer imaging software and by showing photos of patients who have consented to us sharing their results. That said, every patient comes into Smith Cosmetic Surgery with different ideas, expectations and goals for what they wish to achieve through plastic surgery on his or her nose. This only underscores the uniqueness of each and every rhinoplasty procedure. One patient may not like a hump in their nose; another’s appears too bulbous or droopy; still another is unhappy with how much the nostrils flare. Is it a genetic predisposition? Was there an accident or trauma to the bone or tissue of the nose that never healed properly? 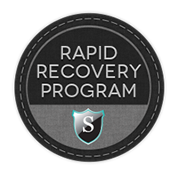 These are all questions that Dr. Smith will address with each individual patient in order to set expectations and choose the best course of action to sculpt a nose that’s made for each person. To achieve the most natural look, Dr. Smith will also take into account other facial features as he customizes a surgical approach. That’s because other aspects of the face impact the look of the nose. The chin is the most significant feature tied to the appearance of the nose. For example, a recessed or “weak” chin can make a nose look larger and vice versa. Because the nose is so intimately tied to other facial features it is not uncommon for Dr. Smith to suggest a complementary procedure at the same time as the rhinoplasty. Work on the chin is the most common, followed by liposuction around the neck area, which can provide more shape and contouring to an area that best highlights the nose. These twin surgeries are routine and would be discussed during a complimentary consultation about the best approach for your individual nose. The craft of rhinoplasty truly lies in an individual surgeon’s ability to mask his or her own work, meaning the best-looking noses don’t appear to have had any work done at all. They simply look like they belong—like a nose you were born with. 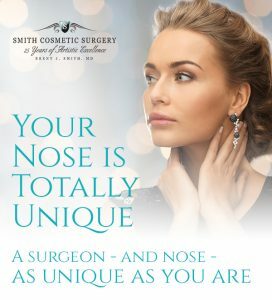 Smith Cosmetic Surgery encourages each patient that comes in for a rhinoplasty consultation to go through computer imaging to see what their new nose can look like. Dr. Smith and his highly qualified staff will take a picture of your current nose, feed it into a computer and create a model of how natural your nose will appear after a custom procedure. If you are considering changing your nose, remember just how unique you are. Make sure you choose a surgeon who routinely performs this type of plastic surgery. A nose is not the place to take chances, because errors are far too obvious. Find a cosmetic plastic surgeon that knows the nose—and will never let you go into your rhinoplasty blindly.